Ukraine has disclosed the order of the shortlisted Ukrainian semi-finalists of the 2017 Eurovision song contest, which will be hosted by Kyiv. The contestants will perform their songs in three semi-final rounds (on February 4, February 11, and February 18). There will be eight singers in each round, according to eurovision.stb.ua. The Ukrainian performer who will represent Ukraine at the Eurovision contest will be named amid the final national selection on February 25. The voting system includes the jury's points and the audience's texting vote, which yield a combined result. Read alsoEBU confirms: Eurovision-2017 to be held in KyivKyiv will host the 62nd Eurovision song contest in spring. Forty-three countries have confirmed their participation in the contest. Such a record number of participants repeated only twice in the history of Eurovision back in 2008 and 2011. 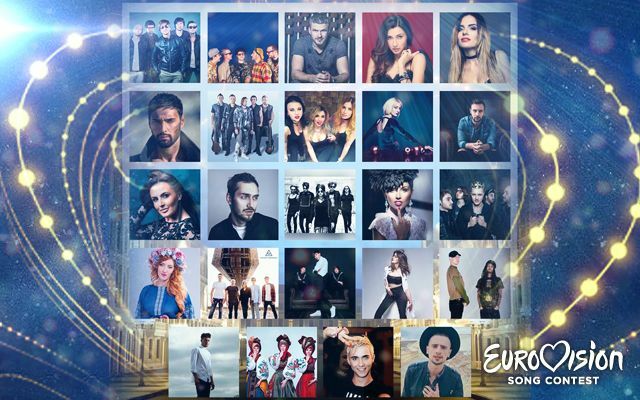 The 2017 Eurovision song contest is scheduled to be held on May 9, 11 and 13 at Kyiv's IEC.